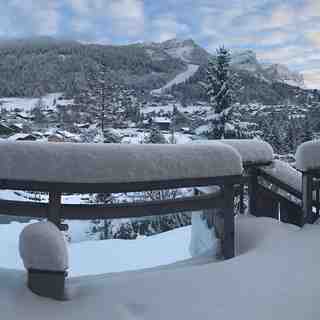 Is it snowing in Les Carroz ?¡Gracias! Perched on a plateau at 1140 metres, high above the valley, the village resort of Les Carroz offers a huge range of outdoor activities in both winter and summer. It remains, largely, a traditional Haut-Savoyard village, just 1 hr from Geneva. 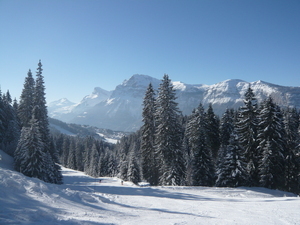 Les Carroz has a 8-person tele cabin that accesses the Grand Massif in just 6 minutes from the village. 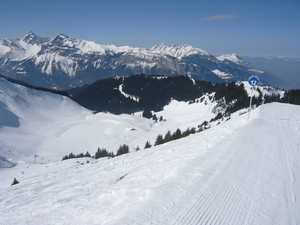 The resort of Les Carroz is part of the Massif (Les Carroz, Morillon, Samoëns and Sixt) with 125 km of pistes and 42 lifts. 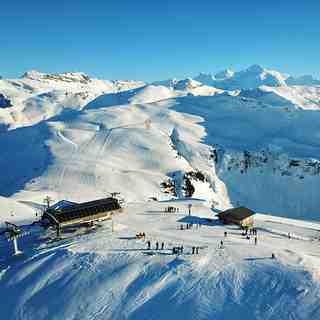 It is also part of the larger Grand Massif that includes Flaine. Les Carroz itself has 32 trails and 15 lifts. 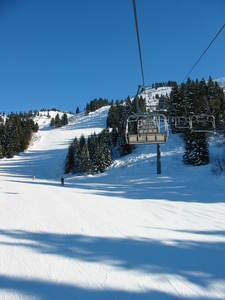 The Grand Massif stats are 265Kms of pistes, 70 lifts and 141 pistes. Currently some of the best conditions of the season. Yeehah!